Population: 4,500. 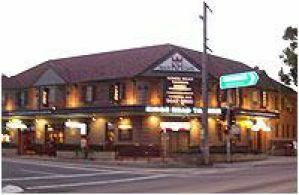 South Hurstville is located 18 kilometres south of the Sydney CBD. It is part of the local government district of the City of Hurstville in the St George region. The area was granted to Captain John Townson and his brother Robert in 1808, however the brothers were not happy with the heavily timbered land as it was not suitable for the farming of sheep for wool. Eventually the land was sold to Michael Gannon in 1850 and became known as Gannon’s Forest. When the railway arrived in 1884 the station took the name Hurstville from the local school. South Hurstville offers a wide range of high quality family homes, combined with a number of units, villas and townhouses. It is primarily a residential suburb with a few commercial developments, mostly located on Kings Georges Road. The shopping strip more than caters to its residents offering a wide range of food outlets and services around one of the areas landmark buildings, the Kings Head Tavern. South Hurstville offers a number of parks throughout the neighbourhood including Poulton Park, an Australian Wetlands Project (wetlands.com.au) designed to restore and improve the ecological health of the park which is home to soccer fields, netball courts and a habitat for native flora and fauna. With a variety of activities for adults too including an assortment of cafes and restaurants, the local library and its close proximity to the busy hub of Hurstville and Westfield Shopping Town (westfield.com.au/Hurstville), South Hurstville is an ideal location for busy families, singles and empty nesters alike.